Well folks, we’re just a hair over the halfway point, and it’s only taken me a year! Time to reflect on my trek through the films of 1928—1970. 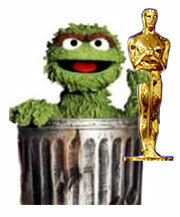 …I’ve learned that perhaps I didn’t have the right idea about the Academy’s taste. For one thing, I’ve enjoyed watching films that don’t exactly fit into the category of “prestige pictures.” Films like Rebecca and All About Eve surprised me with their eerie tones and disturbing subject matter, something I hadn’t thought would suit the Academy’s palate. At the same time, we’ve still got our fair share of predictable Academy fare (films like Mrs. Miniver and My Fair Lady, for example). But as I move into the 1970s and beyond, I’ve learned not to expect a certain type of film simply because the Academy chose it. They make great choices, bad choices, right ones for wrong reasons—but my focus ought to be on the films themselves, not on the Academy’s reason for picking them. That said, I’m pleased to report that no film on this list, thus far, has been positively awful. Yes, I complained quite a bit about Cavalcade (still my least favorite film on this list), but when you come down to it, the production values have never really stumbled. No matter the budget, these were films made with the intention of being “good” or even “great.” It means that no film has aspired to the awe-inspiring awfulness of Sharknado. In fact, I’m surprised by just how many of these films I’ve enjoyed. More than half these films have garnered three stars or above from me (23 to be exact), which I use as an indicator for a film that is certainly worth your time. Below, I’ve ranked the 43 films along with my star rating for each—consider this a rough calculation for now (ranking all 85 films will be the real challenge). And with that, back to the films! Next up, The French Connection !